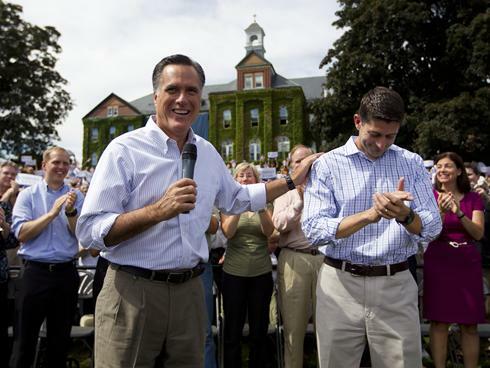 These days, President Obama is running as much against Paul Ryan as Mitt Romney. Having gone after the Republican running mate -- and chairman of the House Budget Committee -- over Medicare, Obama today focuses on education funding. At stops in Ohio and Nevada today, Obama will contrast "his record of reforming our schools and investing in education -- to grow the economy from the middle-out -- against the Romney-Ryan approach of slashing investments in vital education reforms and financial aid that college students need." Note the phrase "Romney-Ryan approach." Obama is trying to yoke the House Republican budget, authored by Ryan, to the Republican presidential candidate. 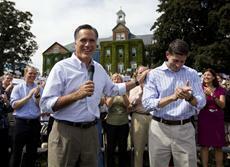 Romney says he and Ryan don't agree on everything. 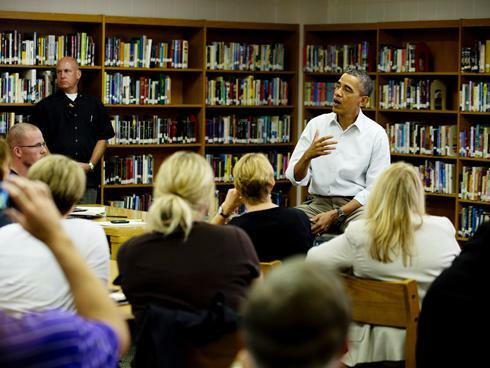 As for education, Romney and aides say Obama's stewardship of the economy has created problems for all students. "Under President Obama, the costs of college have skyrocketed -- making it more difficult for students to attend college -- and his economic policies have made it harder for graduates to get jobs," said Romney spokesman Ryan Williams. Since Romney tapped Ryan as his running mate, Democrats have aggressively highlighted what Ryan's budget would mean to Medicare. Ryan's plan would allow those 55 and older to stay in the health care program for seniors as it is currently set up, but would also offer private alternatives for younger workers. That has left some voters skittish. The Ryan budget, which failed to pass the Democratic-controlled Senate, would cut annual nondefense spending by 5 percent in 2013. The next year, it would be a 19 percent cut. Ryan, who prefers that students take loans instead of receiving grants, would keep the top Pell Grant award in the coming school year at $5,500 but in future years reduce the number of students eligible, not the award sums. In other words, fewer students would receive them but the neediest would not see their awards changed. More than 9.7 million students are expected to get grants for the academic year that is about to begin.